I started writing this post at the O.R. Tambo International Airport in Johannesburg on my way back to the UK (11 August 2012). One of the major objectives of the second research trip for HORN was to film wild rhino on publicly/governmentally owned land. To this purpose, we went to the Kruger National Park – the area in South Africa that has been most affected by poaching. In the two weeks we spent there, I was surprised when we found rhino twenty-four times in total. Not all of these were filmable of course, but still … a staggering number! It struck me at the time that seeing as many rhino is not indicative to the actual gravity of the situation and tourists visiting the area might regard the situation as exaggerated or even misrepresented. However, this is not the case as confirmed reports of slain rhino keep rolling in. The reality of the threat and the silence of SANParks were again enforced to me just before I arrived at the airport. OSCAP notably reported that there are strong rumours that the Kruger was heavily struck during the two-week period we were in the park. It is rumoured that over 30 rhino were killed in the Kruger alone! It is now known that in the month of August, Kruger lost 40 of its rhino. Moreover, the NWCRU (National Wildlife Crime Reaction Unit) revealed yesterday that the rhino death toll now stands at 373 at the beginning of September. 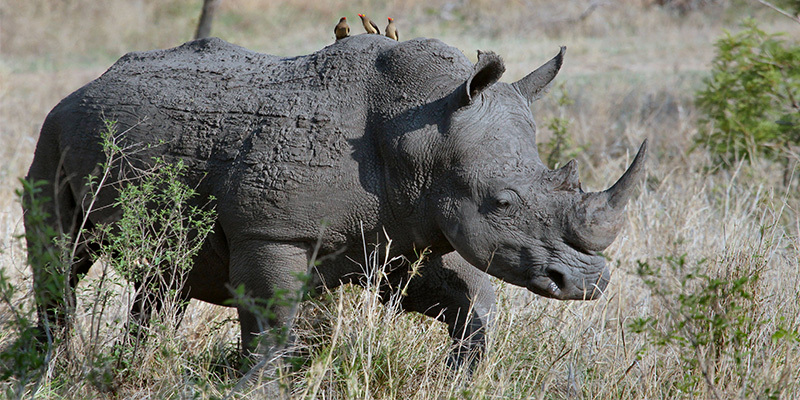 This suggests that the number of poached rhino will vastly exceed last year’s total of 448. This overwhelming reality was however not at all apparent while we were in the park. The question is, why not? And the answer, it seems, is access. As an independent filmmaker, I have so far found it close to impossible to be granted access to key locations and personalities. I judge this largely to be a result of the fact that rhino poaching has become such a sensitive and embarrassing issue for the South African government. Access is more readily granted to the ‘big guns’ like UNTV who produced a short video in the Kruger National Park in association with CITES specifically for the 2012 Rio +20 Conference. But this did not and does not necessarily provide answers. The issues in the film remain a descriptive presentation without any solution driven content (but this is an issue for another post). Entitled, Rhinos under Threat this video presents one of the best short films I have seen on the subject recently. While UNTV was given access to the park and significant figures, other larger institutions such as the BBC surprisingly also find it difficult to cover the issue. A BBC programme maker informed me recently that they are deeply frustrated by not being granted access to freshly poached rhinos in South Africa. Instead, they are confronted with one obstacle after another. While my objectives for HORN are not to film slaughtered rhino, my experience has been similar if not more acute given my independent status. All enquiries have either been rejected or downright ignored. More generally across South Africa, interviewees do not show up or cancel at short notice, while confirmed contributors live so remote that contacting them becomes an access issue in its own right. As a result scheduling filming on a low budget becomes not only challenging, but often also unaffordable. This however is not unique to films dealing with rhino poaching. I do however believe it to be a particularly relevant problem for the documentary filmmaker. During the production of my previous films, this issue was not as prominent in my experience as it is now. Sarajevo: Shelved Memories for example is a film based on a narrative interpretation of real events. Consequently, the filmic representation of Sarajevo and the experiences of the people I interviewed were reliant on my own creative interpretation and input. I was operating in a narrative context reflecting on a moment in history that has already happened. History had already been written. As a result, Shelved Memories became an analysis as well as an interpretation of the hands that wrote history. Moreover, I had the time to consider my creative role in the film. I could consciously lay out what I wanted to say before moving into production. In other words, the interpretation of the event largely occurred before the actual filming. As the director, therefore, I had a large degree of control over the development of the film. I had done a significant amount of research into the history of the war in Bosnia and spoke to people directly involved in the conflict. I knew exactly what the film was going to be about and how I wanted to film it. I wrote a detailed script and created shot lists, while building sets and designing lighting states. I worked extensively with a whole ensemble of actors to bring the experiences of the people I interviewed to life. For HORN however, I am making a film about a moment in history that is not yet over. I do not know nor can I predict the outcome of what will happen to the rhinos. My access to historical knowledge that can be usefully interpreted is therefore just as limited as my access to locations and people. As filmmaker I have thus given up a great deal of control because I am seeking to represent an uncompleted event. I am notably not only documenting a point in history as it is happening, but I am more importantly also documenting a time in history as it is developing. This introduces a multitude of additional problems related to the question of access. Everything about rhino poaching as a current historical event is unknown or uncertain: the significant events that will ultimately determine the rhinos’ fate, the key players, the primary locations, the undisputable facts and figures etc. Additionally, the structure and outcome of the film itself are also undetermined factors since I am making a film that is produced during the actual historical moment. I cannot step back in order to interpret the event. I can however step in so as to actively become part of it, to experience it. The film could therefore be argued to operate as a living moment. It becomes part of the historical situation because it contributes to its development. It becomes a living document woven into the event itself. As the filmmaker, I am required to be up-close and personal – present in the moment of the event not only as it is happening, but especially as it is developing. Contrary to narrative film production therefore, the construction and interpretation of the events in such a documentary approach can inevitably only occur after material has been accumulated. What is one to do however, if one is unable to document the real event due to a lack of access or helpful participation? How can one meaningfully create awareness about a situation where media access is denied or even manipulated for political reasons? How is one to present an accurate perspective on a complex and dire situation when the extent of the problem is either not known or not readily acknowledged, bathed in uncertainties and secrecy? Perhaps the answer could be to force a point of access by living the event. By this I mean the construction of a documentary film where one does not necessarily have to be an observer. One can also be a participant, actively contributing to the development of the event documented. One can become part of it by filming and interpreting the experience. In this way, one could potentially provide a new perspective into the situation thereby influencing the development of the event itself. A possible avenue one could take in order to actively live the historical moment on screen could be achieved by borrowing elements from docudramatic filmmaking and reality television. How one would practically achieve such a level of active participation I am still in the process of developing. One possibility I am considering is to place method actors in real situations where they are required to respond to the realities, debates and dilemmas intrinsic to the rhino poaching issue itself. Essentially, the value such an approach may have for the documentary mode is that it offers an entirely ‘real’ experience inside a real situation. It places an informed performer within the living moment while maintaining a level of creative interpretation. The various frustrations and problems associated with the difficulty of access as articulated above are thus given less credence since the film does not only have to rely on external factors outside of the filmmaker’s control. The critical/analytical capabilities of the performer and the filmmaker are rather brought to the fore in this way. Such a level of independence could potentially highlight significant dimensions of the rhino poaching problem without relying on the ideologically fuelled stock answers provided by coached officials ordered to present neatly constructed and therefore only supposedly ‘real’ sound bites for the documentary camera.